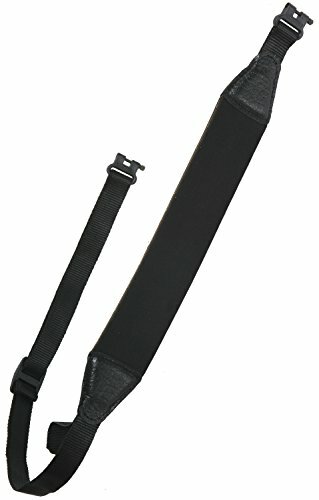 The Outdoor Connection elite is a black standard rifle sling. It is made out of neoprene material. This rifle sling does include swivels. It is 1 inches long.